He has spent a lifetime unlocking the mysteries of the Deep, but now Captain Cashfall is ready to retire. 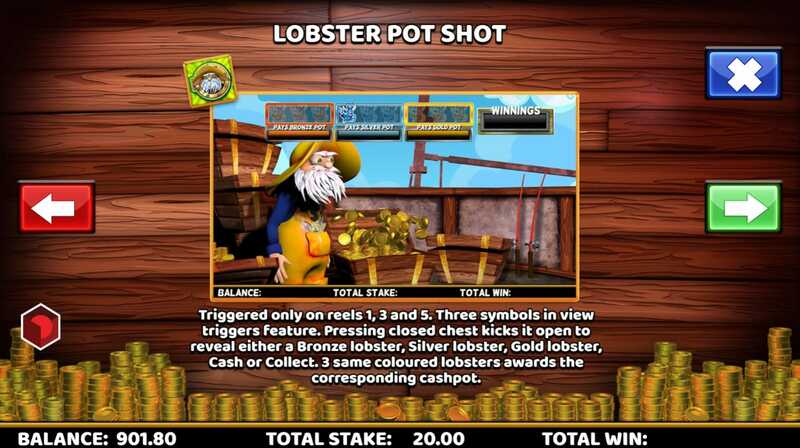 Help this old sea dog on his way with this 5 reel, 20 payline new online video slots UK housed in his trusty sea ready boat. Look out for the characters that have made up this sailor’s life – the fishwife, seadogs, tins of tuna, fishing reels, boat wheels and the usual 10, J, Q, K, A all ready to take to the high seas and make this the voyage of a lifetime! Have a look at other slots games on SlotsBaby! CORE has been successfully involved in the development and integration of a huge range of highly popular games for most of the major international operators and is currently developing a portfolio utilising vast industry knowledge and expertise in multiple platform integration and deployment. Titles include Carry on Camping, Captain Cashfall and Sean Kelly’s Storage Auctions. Try new slots with promotion offers before you play the game! Despite being on the vastness of the ocean, there are big chances to haul treasure over the side when you’re all aboard with Captain Cashfall! Wilds – The Tuna can is the wild to watch for here! It replaces all the symbols on the reels (bar bonus symbols) and pays out even bigger if it hits the 3rd reel. Fishwife – 3 or more of this lady triggers free spins with locked wilds in positions 2 and 4. Seadog – 3 symbols offer a pick me bonus awarding a random number of spins and a one armed bandit mini game to win the player cash! 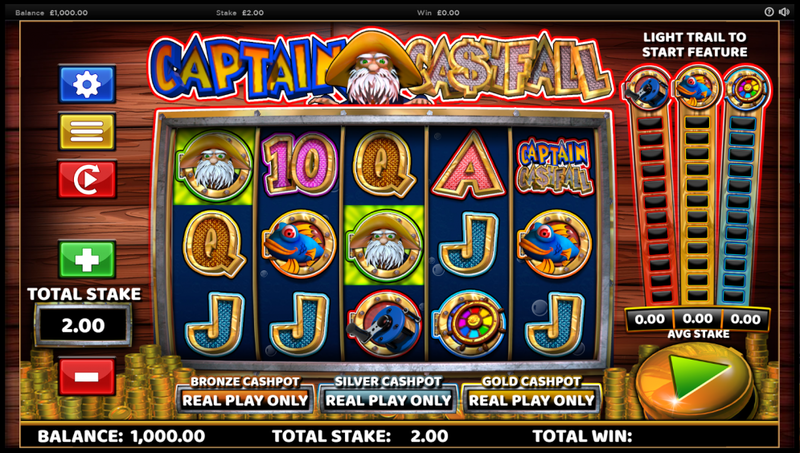 Captain Cashfall – 3 of these triggers a jackpot bonus game where the player selects chests to win cash prizes. Progressive feature trails – every symbol that features a bronze, silver of golden background will add blocks to these trails – climb the ladder to trigger that corresponding bonus game. Reel ‘em in – Cast your line off the pier and bring in various fish with cash prizes. Keep collecting until you catch a collect fish. Fish bar challenge – hit the menu of your local restaurant and watch as the fish full of prizes float down the conveyor belt. Choose your catch of the day to win cash prizes. Captain’s wheel – spin the colourful wheel full of multiplier values to win as much as 50x your current stake.